Getting started is easy! Just follow these simple step-by-step instructions. If you require assistance we are available to assist you 24/7, 365 days a year. PlayerID to [email protected] using IDB as the Subject. 1. Click the Download buttom below to start the process. 2. 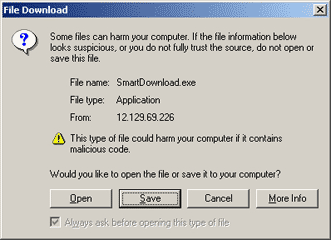 Once you click the Download button below, the File Download dialog will appear: Select Save this program todisk and click OK.
3. A Save As dialog box will appear. 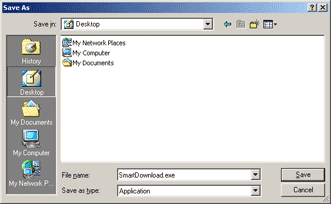 Select Desktop from the Save in drop-down menu at the top. It is recommended not to change the file name. Click the Save button. 4. Once the download is complete, double click the casino setup icon on your desktop to start installation. 5. During the installation, some components must be downloaded, please wait until the progress bar is completed. 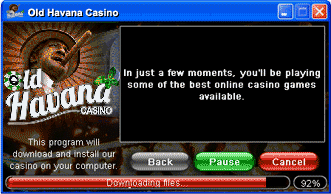 After the installation is complete, a Old Havana Casino icon is placed on your desktop for easier access to the Casino. Double-click it to start the Casino and enjoy! Now click the Download button below to start the download and follow the instructions given in the previous steps. If you have any questions or problems, please feel free to contact our customer support team who are at your service 24hrs a day, 7 days a week. For contact details click here.